December is here, and with Christmas just around the corner we’ve compiled a gift guide of all of the best food and drink gifts to buy for your favourite foodies and drinks connoisseurs this Christmas. What’s more, everything listed is available to buy online. Chosen from our favourite Scottish restaurant in London, Mac & Wild’s pre-mixed range of cocktails are an ideal stocking filler. Hand crafted in small batches by the restaurant’s own mixologist Luke Leiper, these cocktails are made using some of Scotland’s finest whiskies, all infused with locally sourced Scottish herbs and botanicals. With four varieties available, the ‘Ginger Laddie’ is a Manhattan-style cocktail; ‘Auld Pal’ is based on the classic Negroni, albeit with Dalwhinnie 15-Year-Old whisky in place of gin; ‘Bonnie Brae’ is best with a splash of sparkling water; and ‘The Forager’ is a riff on the classic Old Fashioned. 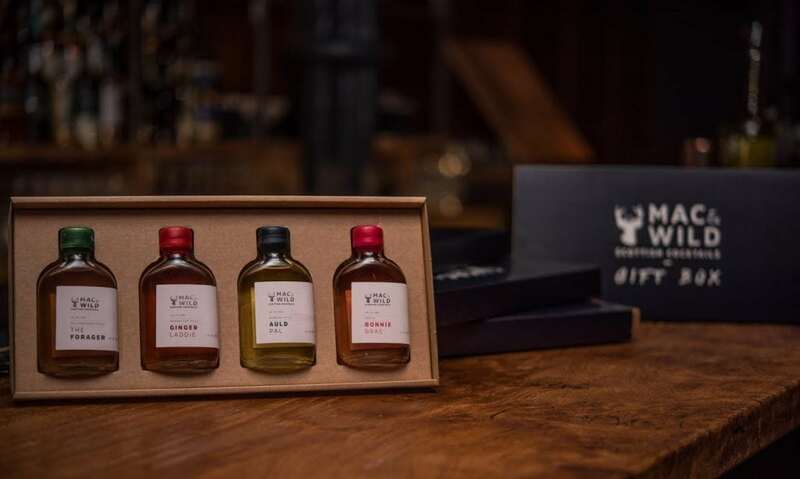 Alongside these 50cl bottles, a gift set featuring miniature sample bottles of all four is available, perfect for any whisky-lover. Mac & Wild Scottish Cocktails are available from macandwild.com. The gift set is priced at £23.38. 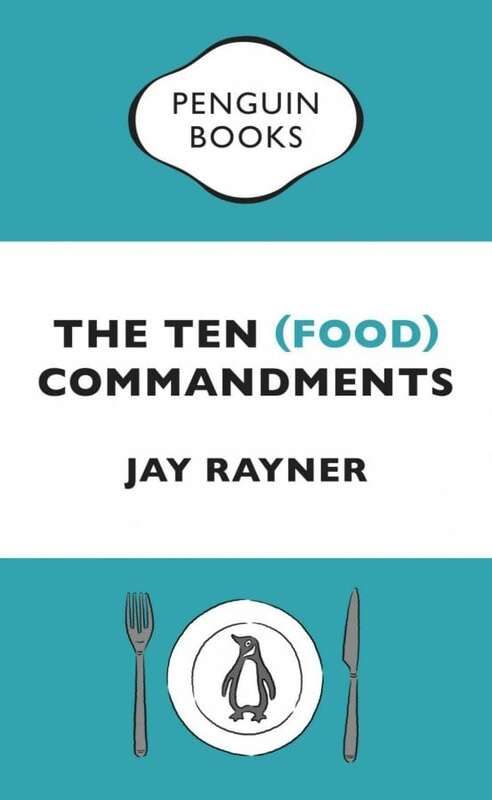 An ideal stocking filler for any food fanatic, ‘The Ten (Food) Commandments’ presents renowned restaurant critic Jay Rayner at his sharpest. Offering some 21st century guidance for the world of food, this pocket-sized collection of ten essays includes chapters such as ‘Honour thy pig’ and ‘Thou shalt choose thy dining companions bloody carefully’ – all of which are backed up by some relatively simple recipes and topical, well-researched rants. What’s more, if ever you were in need of fodder to spark a Christmas dinner table argument, you’ll find plenty within the pages of this book. ‘The Ten (Food) Commandments’ is available from amazon.co.uk, £6. 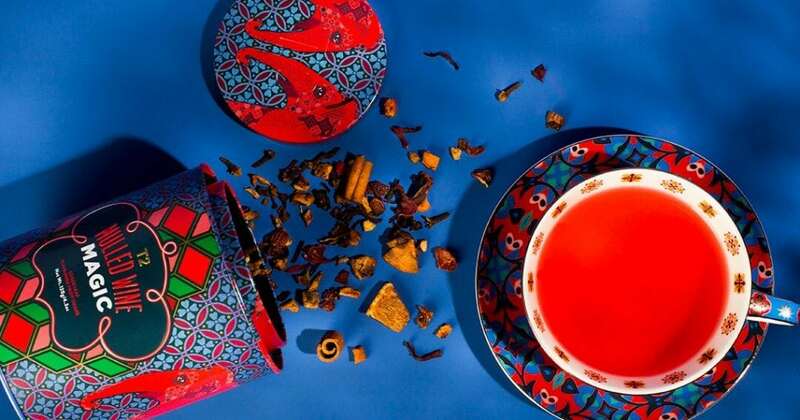 T2 ‘Mulled Wine Magic’ is available from t2tea.com, £16. Looking to support local, artisan produce and business this Christmas? Look no further than The De Beauvoir Deli in Hackney, having added a new selection of hampers to their collection, all available to purchase online or in store. 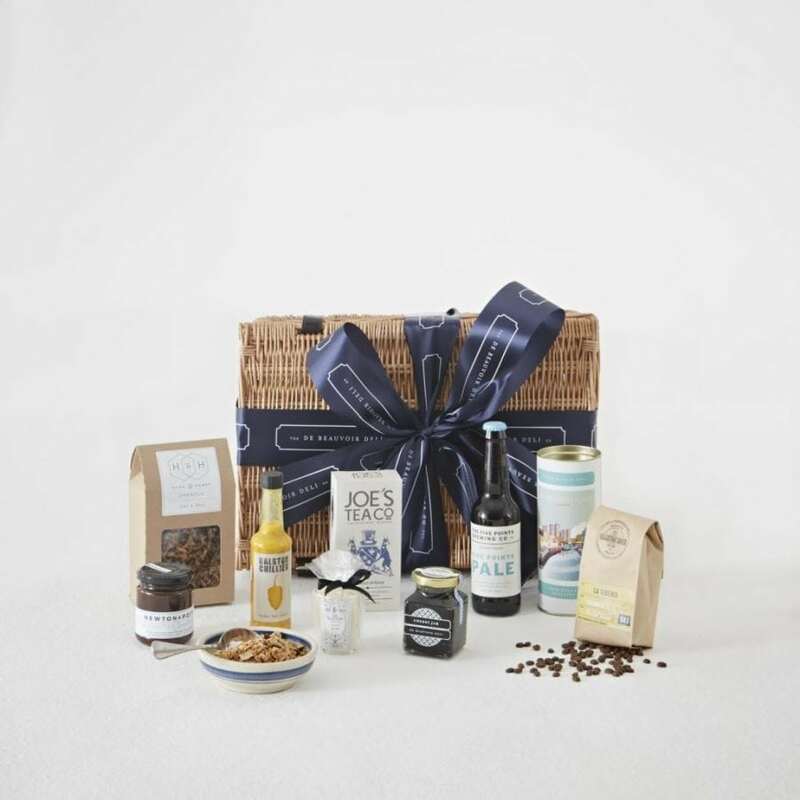 From the new collection, ‘The Hackney Produce Hamper’ includes some of the area’s best produce: granola from Husk & Honey, Roasting Shed coffee, Five Points Brewing Co. ale, Dalston Chillies sauce, Newton & Pott chutney, Joe’s Tea, De Beauvoir biscuits and (of course) De Beauvoir Deli jam. The Hackney Produce can be ordered online from thedebeauvoirdeli.co.uk with nationwide delivery, or picked up in store. £56. There’s been a huge boom in popularity surrounding Japanese whisky in recent years, and with the struggle to meet demand, most of the good stuff is incredibly rare. Hibiki Japanese Harmony from Suntory, for instance, is a harmonious blend of numerous malt and grain whiskies with a rich flavour profile. Prominent notes of oak and candied orange are prominent on the nose, continuing onto the palate with sweet notes of toffee and white chocolate. In addition, the liquid is bottled in a visually appealing 24-faceted bottle to represent the 24 seasons of the traditional Japanese calendar, a true embodiment of Japanese craftsmanship. 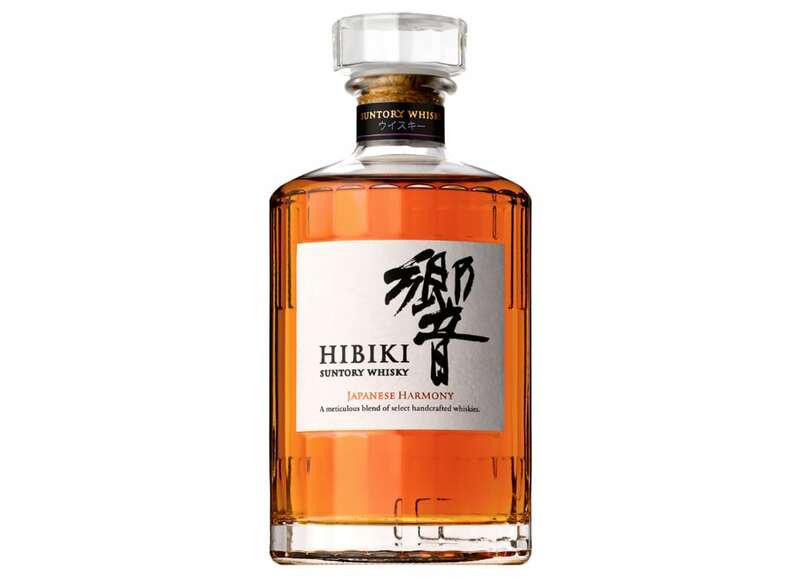 Hibiki Japanese Harmony is available from Waitrose, £53.99 for 70cl. Named after the owner’s cat, Monty Bojangles offer a delicious range of chocolates and retro sweets. These ‘Milky Mischief’ truffles are lovingly made in Angers, France to a traditional recipe that dates back to the 1930s. Inside, the milk chocolate is indulgent, sweet and remarkably smooth, while a dusting of cocoa powder on the outside adds a touch of bitterness, just enough to cut balance the truffles and steer them away from intense sweetness. Besides, you can never have too much chocolate at Christmas. 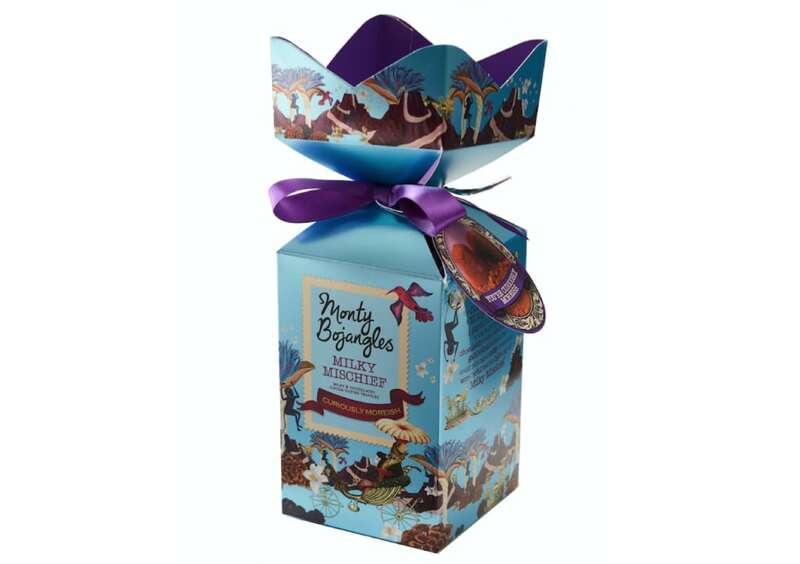 Monty Bojangles ‘Milky Mischief’ are available to buy from Waitrose and montybojangles.com. From Spirit of Harrogate, this London Dry Gin is named after William Slingsby, an adventurer who allegedly discovered the unique properties of the natural spring water from Tweit Well in Harrogate in 1571. 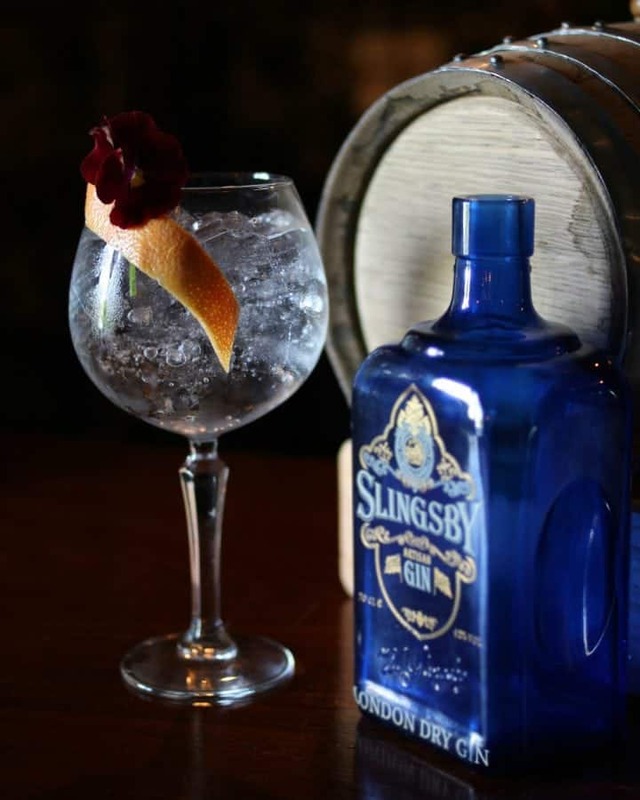 Distilled with the the famous water of Harrogate (the first place in Britain to bottle water) and 24 locally grown botanicals, Slingsby has a prominent citrus character with notes of grapefruit, herbal accents from rosemary and thyme, and liquorice sweetness that continues on the tongue. This is a remarkable gin, best paired with premium tonic and a garnish of choice, although we’d suggest a sprig of dried lavender. Slingsby London Dry Gin is available from wslingsby.co.uk, £39.99. 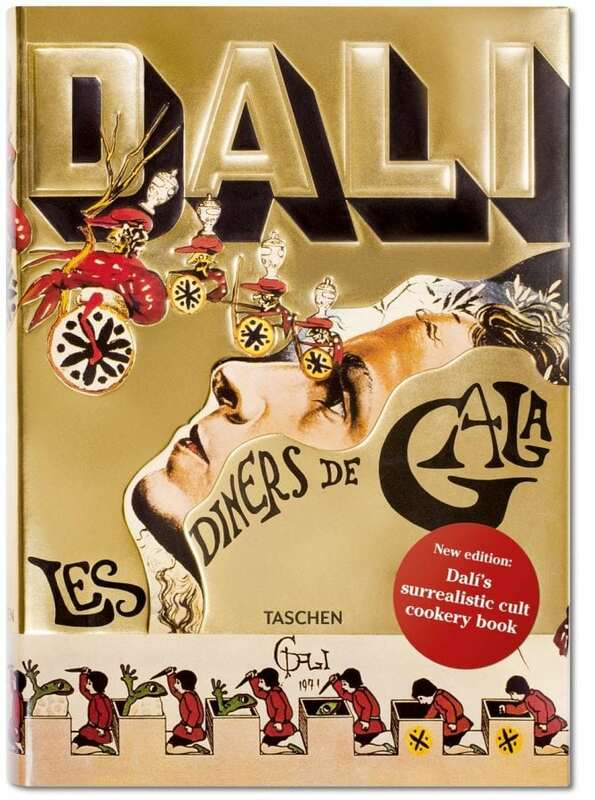 Long before the likes of Heston Blumenthal were pleasing crowds with molecular gastronomy, iconic artist Salvador Dalí published this exceptionally rare French cookbook in 1973. Inspired by the opulent dinner parties thrown by the artist and Gala, his wife and muse, the book has been recently reprinted by Taschen with 136 recipes (many of which are actually quite practical). Each of these recipes are set across 12 chapters, each illustrated in Dalí’s typical style. Recipes include the likes of decadent but reasonable ‘Roast Duckling’ and ‘Vegetable Pie’, alongside ‘Snail Stew’ and ‘Frog Cream’ especially for the less faint of heart. As well as a beautifully bound work of art, ‘Les Diners de Gala’ is the ultimate surrealist cookbook. Les Diners de Gala is available from all good bookstores and taschen.com, £44.99. Celebrating the 150th anniversary of their Lynchburg distillery this year, Jack Daniel’s have added a second offering to their Single Barrel collection. With rye whiskey undergoing a renaissance of sorts, this new expression follows limited release batches Rested Rye and Un-aged Rye. Just one out of every 100 barrels are granted Single Barrel status, set aside by the Jack Daniel’s Master Tasting Panel to mature in the highest reaches of its barrelhouses. Here the liquid is subjected to dramatic temperature changes to create a unique whiskey. The first new grain bill in 150 years (since Old No. 7), Jack Daniel’s Single Barrel Rye is full bodied and smooth with notes of dried fruit, toasted oak, caramel, vanilla and – of course – rye. 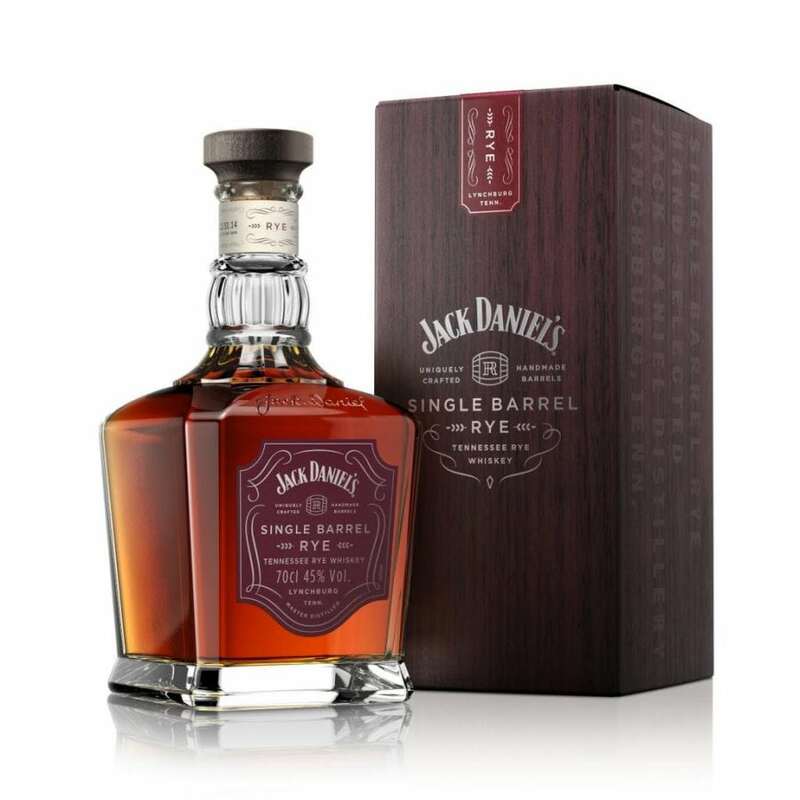 Jack Daniel’s Single Barrel Rye available from store.jackdaniels.co.uk, £49.99. From the Scottish Hebridean Island of Islay, better known for its whisky production, The Botanist is a gin from Bruichladdich Distillery. A huge total of 31 botanicals are used throughout the distilling process, giving The Botanist a unique, complex flavour profile. Classic gin botanicals such as juniper berries, cassia bark and angelica root join a further 22 ingredients locally foraged from the island. These include less traditional ingredients such as apple mint, birch leaves, lemon balm, white clover and sweet chamomile. 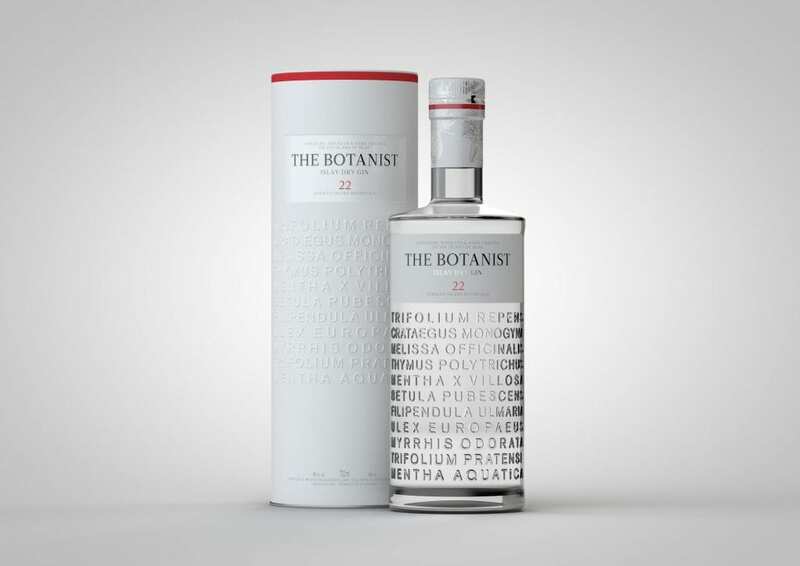 A further nod to the gin’s ingredients, The Botanist is encased in a glass cylindrical bottle that’s etched with the names of each botanical used to create this remarkable gin. The Botanist Gin is available from waitrose.com, £36.99. Why not treat somebody that you love to an immersive, educational culinary experience for Christmas? 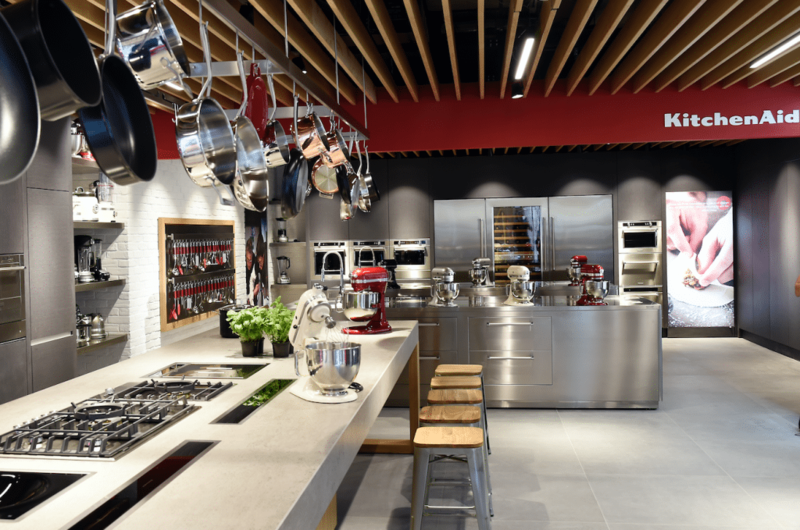 Having been at the forefront of innovation in the kitchen for almost a century, KitchenAid recently opened their first ‘Experience Store’ in Marylebone. As well as showcasing the brand’s small appliances, the store will also offer fortnightly cookery courses, each with a different theme. These include the likes of special Valentine’s Day, Mothering Sunday and Father’s Day classes alongside a Chinese class in January for Chinese New Year, right the way through to December classes in preparation for next Christmas. Each class will be priced at £70pp and can be booked directly through KitchenAid. Further information on each class and booking details can be found at kitchenaid.co.uk. Inspired by family tradition, R&B Distillers launched two brand new whiskies at the end of last year, setting the blueprint for what’s to expect from an ongoing project to build not one, but two new distilleries. Expected to be completed by Summer 2017, the brand’s distillery on the Isle of Raasay will be the area’s first legal distiller. We’ve still a while to wait, but until then R&B Distillers has crafted ‘While We Wait’, a whisky that shows what’s to expect from the new distillery. A blend of two whiskies (one peated, one unpeated) Raasay ‘While We Wait’ is non-chill filtered and finished in French oak Tuscan wine casks to deliver prominent dry fruit notes on the palate alongside a balance of smokiness. 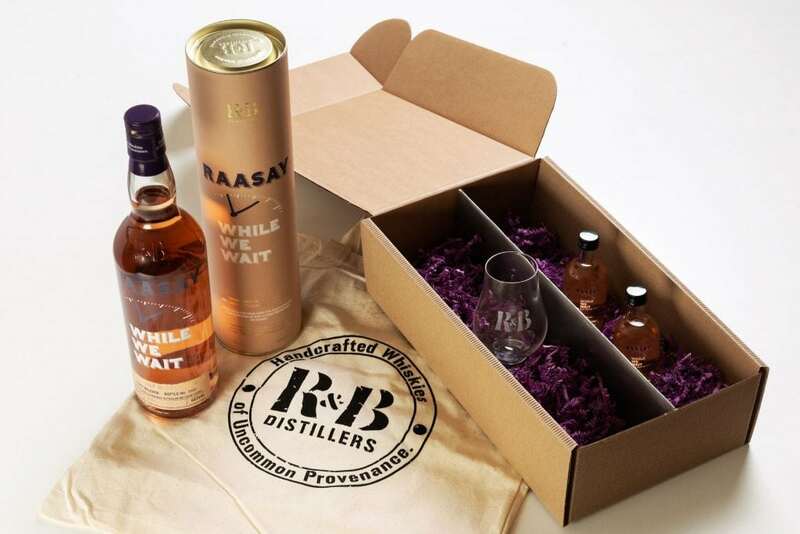 R&B Distillers Raasay While We Wait is available from rbdistillers.com, £56.95 for 70cl.